Is there a “digital sunrise” in AM radio’s future? 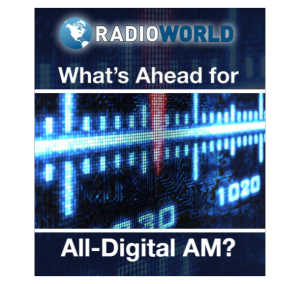 This ebook explores the prospects and questions raised by the idea of all-digital broadcasts on the AM band. Why explore all-digital on the AM bands, in medium-wave or shortwave? What benefits might it bring apart from better audio quality? 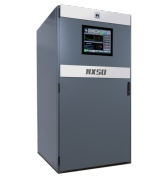 What do industry observers believe is the likely future and time-frame for all-digital AM in the United States? What technical issues would be raised, what regulatory steps? What do car makers think? What do advocates like Xperi and DRM see as the goal and outcome in the US and elsewhere? What has WWFD and Hubbard learned so far about reception, listener reactions and the impact on advertising? What are the implications of all-digital for DRM? 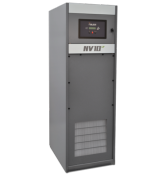 What are the attributes of the ideal AM antenna and transmitter system for all digital?